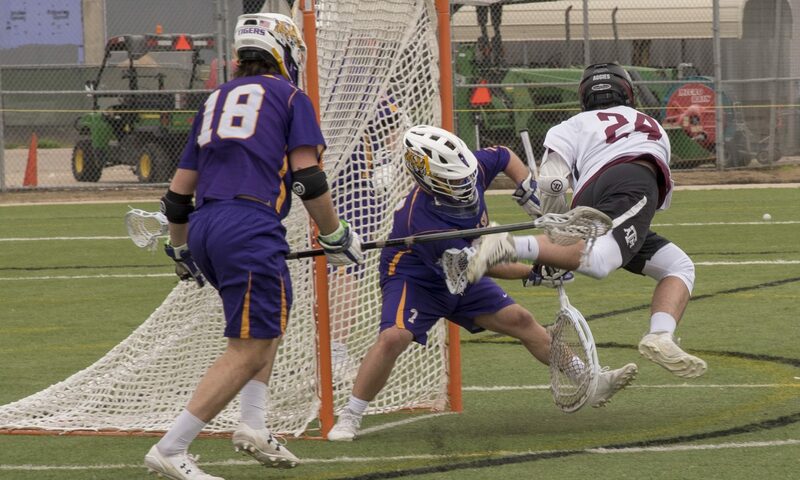 The Texas A&M Lacrosse team defeated the LSU Tigesr 16-7 and the UT-Dallas Comets 11-4 on Saturday to complete their second double header of the season. With the win against the Tigers the Aggies completed a sweep of the LSA South division and secured a first place finish. The Aggies are guaranteed a first round home game on Saturday, April 14th against the #4 seed in the LSA North division. Both teams came out strong but the Aggies dominated ground balls between the boxes to secure the early possessions. Goalie Marco Robertson (#6 Jr G Dallas Jesuit) had 5 saves in the first quarter and the Aggie face-off men won all 6 face offs to forge a 4-1 first quarter lead. Both teams scored three in the second but the Aggies went on a 9-3 tear in the second half to round out the game. Strong midfield dodging, long possessions on offense and quick outlet passes kept the Tigers at bay late in the game. The Aggies were led by AJ Hepting (#24 Jr A Kingwood) 3g/3a. Gavin Planeta (#2 So M The Woodlands) 3g/1a, Chandler Locklear (#21 Jr M Magnolia) 3g/1a, GW Bodden (#44 So A TMI) 3g, Mikey Jaillet (#45 So A Round Rock) 1g/2a, Clayton Nugent (#10 Fr M Houston Christian) 1a, Drew Johnson (#4 Jr M Magnolia) 1g, Hunter Valk (#32 Fr M Cedar Park) 1g and Augie Buerkle (#16 Jr A Bowie) 2a rounded out the scoring for Texas A&M. Goalie Marco Robertson (#6 Jr G Dallas Jesuit) had 15 saves and a save percentage of .682. The Aggie defense impressed with a strong performance led by goalie Ryan Fennell (#26 Sr G Westside) with 14 saves and a save percentage of .778. At close defense Cole Labhart (#15 Sr D St. Marks), Sean Murphy (#33 So D Nashua South, NH), Preston Smith (#36 Fr D Memorial) and Tim Schmitt (#23 Sr D Bishop Gorman) played exceptionally well limiting UTD’s offensive opportunities. The Aggie offense was led by GW Bodden (#44 So A TMI) 3g. 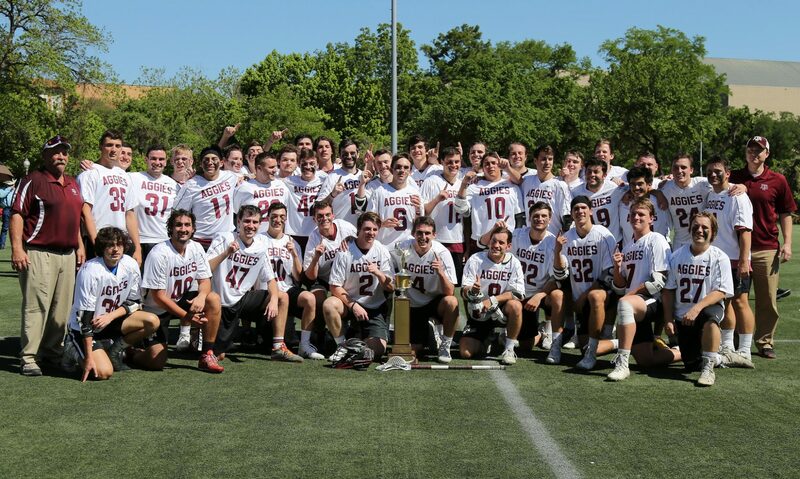 Drew Johnson (#4 Jr M Magnolia) 2g/1a, Clayton Nugent (#10 Fr M Houston Christian) 2g, Matt Hanna (#17 Jr M Seven Lakes) 1g/1a, Caleb Reed (#25 Fr M Klein Oak) 1g, Connor Morrison (#29 Fr SSDM Plano East) 1g, Auggie Buerkle (#16 So A Bowie) 1g, Mikey Jaillet (#45 So A Round Rock) 3a, Chandler Locklear (#21 Jr M Magnolia) 1g/1a, AJ Hepting (#24 1g 1a Jr A Kingwood), and Seth Schutze (#46 Fr M Episcopal) 1a rounded out the scoring for Texas A&M.